If you are looking to revolutionize your bathroom, why not try one of our electronic bidet toilet seats. Take your toilet into the future with these inventive solutions. 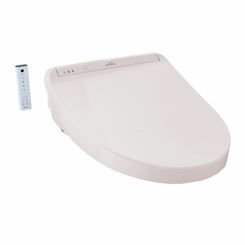 The most popular of bidet toilet seats are the innovative WASHLET system. Shop around for some of the best prices you'll find anywhere online. FYI: in 2016, the popular G500 was replaced by the G400 Washlet. 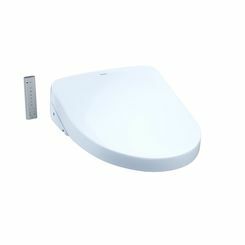 TOTO is the genius behind the WASHLET, and they are leading the industry for these hygienic bathroom products. 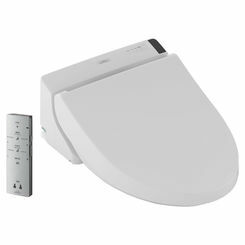 We offer a wide range of options, including the TOTO Neorest, which is a complete unit, and we also have bidet seats that can be installed with just about any toilet. 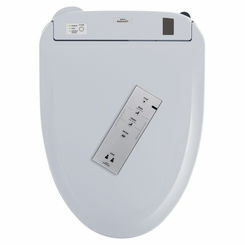 We even carry the travel size WASHLET. 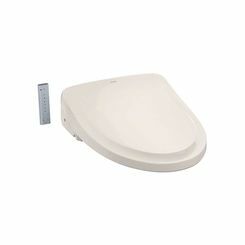 Be sure you get a bidet seat that matches your configuration, whether you have a round bowl or an elongated toilet. Rather than installing an entire porcelain bidet, you can install a toilet seat that functions as a bidet. 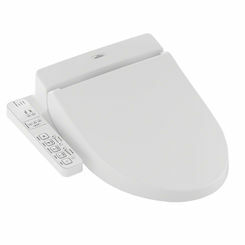 The TOTO bidet seat is so popular that “WASHLET” has become synonymous with the term bidet toilet seat. 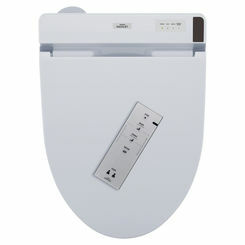 TOTO is a trusted Japanese manufacturer with a knack for innovation. The name WASHLET is a derivative of “let wash” that alludes to the idea that the unit does the washing for the user. 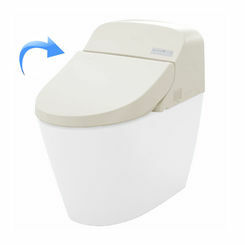 WASHLETs have grown in popularity due to the advanced features that are offered by each model. We carry bidet seats from other manufacturers, including Brondell. 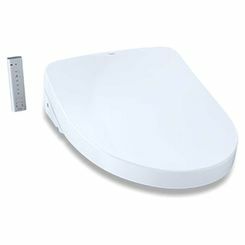 Know the Size and Shape of your Toilet: Unless you’re purchasing a single unit bidet, you need to know what size of bidet to buy. Long and elongated, or short and circular, know before you buy, or else you may end up getting the wrong one. Find out what type of bidet you want: Though we’ve already mentioned the popular “spray bidet” model, there are a few different types that have different modes, features, or behavior, and you need to know which one you want. Don’t Expect a Separate Bowl: Most bidets—particularly here in the US—are overlays that fit within the toilet itself, contrary to what you might see in the movies. The reason for this is because the separate bowl models are costly, and are often not worth the money. Yes, these models are available to you if you can afford it, but know that—with standard bidets—you won’t be getting a standalone basin. Studies show that Americans alone use approximately 37 billion rolls of toilet paper each year, which is the equivalent of 15 million trees. 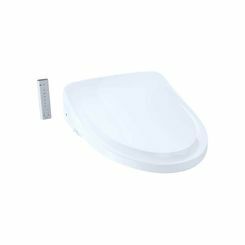 Not only are bidet seats designed to enhance a bathroom, but they also reduce the use of toilet paper which is beneficial on multiple levels. With a reduction in the amount of toilet paper that flush into the sewer system there is less of a chance for clogs as well as a reduced need to empty the septic tank. 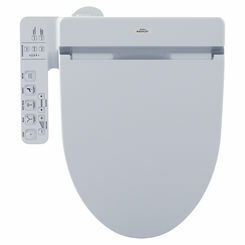 Another benefit that is specific to the TOTO WASHLET is the used water per flush. 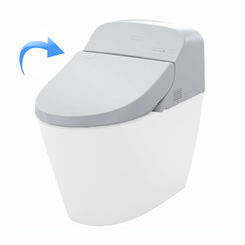 Initially, some users were skeptical of WASHLETs with all of the features and new technology. 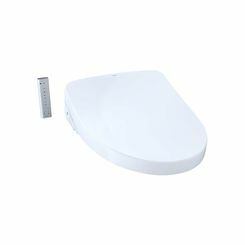 One of the impactful improvements that Toto has had to make in the design of their bidet toilet seat is the water usage. 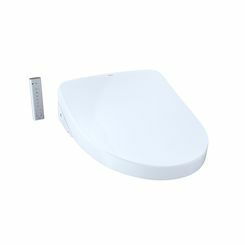 TOTO has designed the WASHLET to get the job done while using approximately one gallon of water per day for the average family, which is not a significant increase over the typical water used by the alternative traditional toilet seat. 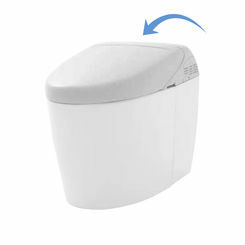 New advancements in the bidet seat industry have proved that their cleaning features are superior to wiping with toilet paper in regards to personal hygiene problems, such as infection. Experts were initially worried that the water expelled from the bidet spray faucet might become contaminated and spread disease, but to counteract this unfounded concern, the TOTO WASHLET includes with a self-cleaning nozzle. 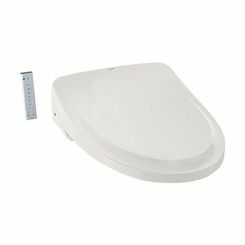 WASHLETs have proven to be among the most successful and environmentally friendly ways to optimize your bathroom. 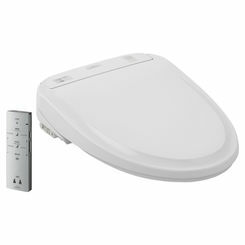 For questions about bidet toilet seats, please contact our friendly and knowledgeable staff via e-mail or phone and get the answers you need to make an educated purchasing decision.